A green dot is any behavior, choice or action that promotes safety for everyone and communicates intolerance for sexual violence, dating/domestic violence and stalking. A green dot is intervening in a high-risk situation. A green dot is looking out for your friends at school or at a party. A green dot is positively influencing your social circles. A green dot is getting your student organization trained on green dot initiatives. A green dot is your individual choice at any given moment to make our campus safer. To see a short presentation that further explains Green Dot, please click here. Take our Bystander Intervention Certification course with your friends. Our 6-hour training sessions will help you learn how to respond safely as a bystander to prevent imminent or potential acts of sexual or interpersonal violence on campus. 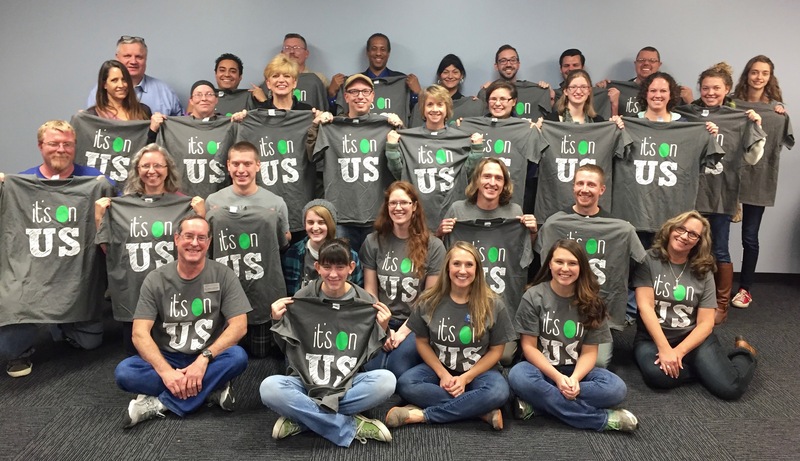 Bystander Intervention Certification training is an important part of Green Dot awareness efforts at OTC. Plus, involvement has its benefits. As more and more members of business and industry become aware of the importance of violence prevention, your certification in the nationally recognized Green Dot program will look great on your resume! Check out our online calendar and participate in Green Dot activities on campus. 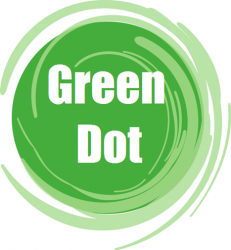 Follow the Green Dot movement on Twitter at @DJEGreenDot. Learn more about Green Dot on the national stage at livethegreendot.com. *Sign up for training here.